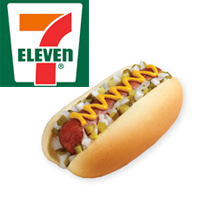 To get FREE 1/8 Big Bite Hot Dog at 7-Eleven you will need to download their app on your phone and register. The free coupon is located in the Savings section. Make sure you don’t click Redeem until you’re ready to use it, it’s only good for 15 minutes when you do. Valid 7/23 only.